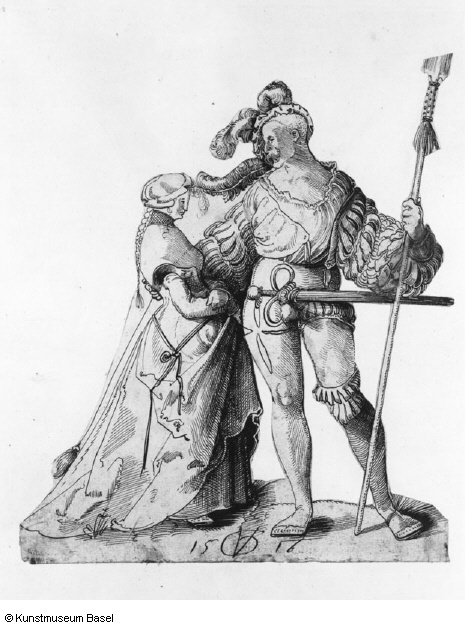 The problem I encounter is the fine line between the Reisläufer (Swiss) and the early Landsknecht (German) dress: I want it to be tight fitted so I am howering around early 16th century, but I want it to be on the “right” side of the border, so I can’t use any slashed hosen as an inspiration for the hosen. The person who the hosen are made for wanted to have one short leg (with possibility to add a piece of extra leg for colder days) and one longer to above the knees. This picture shows an example of short leg/long leg …but the slashing tells me that it is woodcut of a Reisläufer. 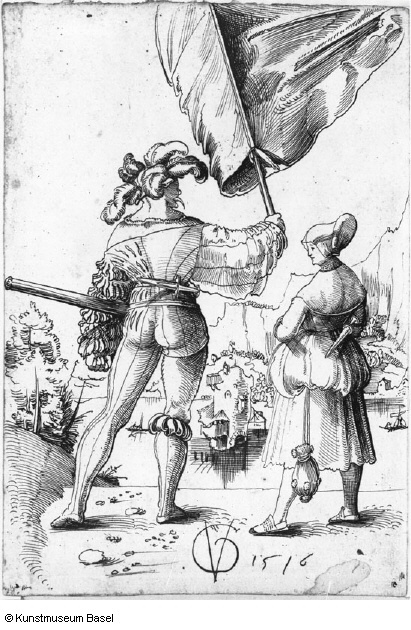 This entry was posted in Landsknecht and tagged hosen, Landsknecht, Reisläufer.